The earliest adopters of Google+ are a unique slice of highly-active socially-networked users. Bad news: Early Google+ users are above average among social networkers who have recently unfriended someone, removed content, and adjusted their privacy settings. They are well below average in friending someone, not a very bullish sign. Unlike the launch of Google Buzz, which brought privacy concerns to the fore, Google+, even privacy-adjusters to be trying out Google+, at least so far. Evidently, Google+ controlled its “field trial” launch, inviting and allowing in a carefully selected audience. Over half are highly experienced tech users, with 16 or more years under their belt since they used their first PC, and 12 or more years using a mobile phone (smartphone or basic feature phone). In the coming year, it’s unlikely to see an either/or scenario between Google+, Facebook, and Twitter. Instead, the most-active social networkers will simply expand their experience, influence, and content across an ever-wider network. The privacy-conscious and ad-averse are likely to remain in the shadows or with minimal involvement. Up for grabs is the largest middle segment, and this group is most likely to wait and watch for a simple and safe experience which piques their interest. This will come in the form of competitive apps on Facebook, extensions to Twitter, or further innovation from Google. 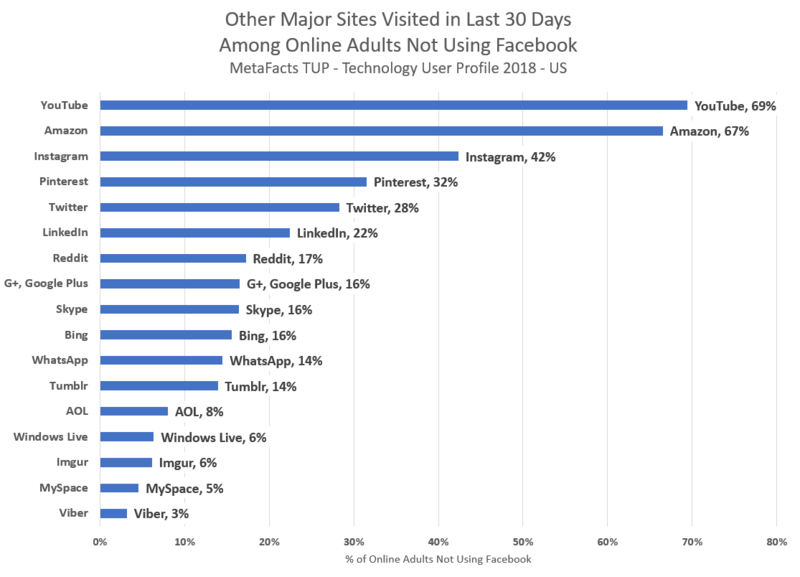 Google+ came live shortly before the fielding of the 29th year of the MetaFacts Technology Survey, so we expanded the comprehensive user survey to include Google+ along with other social networks. The Technology User Profile survey is independently conducted by MetaFacts. The syndicated research original service provides solid sizing and segmentation information about technology use, uniquely allowing for deep dives into use of competitive and substitute products as well as interactive segmentation and profiling. Based on surveys with thousands of representative respondents reached by telephone and online, the MetaFacts Technology User Profile Service survey the entire range of information technology users. The full market is surveyed, from those with the richest collection of products such as Smartphones to Tablets and Netbooks, to those who don’t even use a mobile phone or PC. Soon we will be releasing key takeways about the earliest adopters for the new service. Watch this site – technologyuser.com – for brief, complimentary updates. For full details, a special Google+ Flash Report will also be available at a special rate. Send a request to be notified of availability. Subscribers to the 2011 Technology User Profile services will receive updates directly. When you change lanes on the highway, you hope that the guy next to you isn’t a distracted driver looking at his smartphone instead of at the road. Ninety percent of the time, you’d be fine. On the other hand, a recent MetaFacts Technology User Profile survey showed 9% of online Americans agree or strongly agree with this statement: “I should be allowed to text or email while I am driving a car.” Nine percent isn’t 100%, but considering the concentration of people on the road in any ordinary rush hour, that 9% adds up to a lot of road risk. Who are these renegades? It seems they have a few commonalities, ranging from age, state, and parental status to privacy attitudes. Eighteen percent of 18 to 24-year olds surveyed felt that they should be allowed to text and email while driving, and the concentration of renegades indeed appears to be in the young-uns: that 18% is double the national average. The 25 to 34-year-old group come in second, with 16% wanting to multitask in their vehicles, followed only slightly more slowly by the 35-44 age bracket with 10%. After that, percentages drop down to 5% and lower in older age groups—it seems that most of these rebels get hit with a dose of safety-juice by the time they hit their mid-forties. Yet, there is something these folks have in common which points to a concern for safety, even coupled with their desire to type and drive, and that is their tendency toward device-security consciousness. 71% of renegades agree: “For security, I do things such as password-protecting my phone or limiting what is stored on it,” compared to the national average of 30%. Is the line between physical safety and the safety of our information becoming blurred, or is this issue just holding the door for better voice-recognition technology? 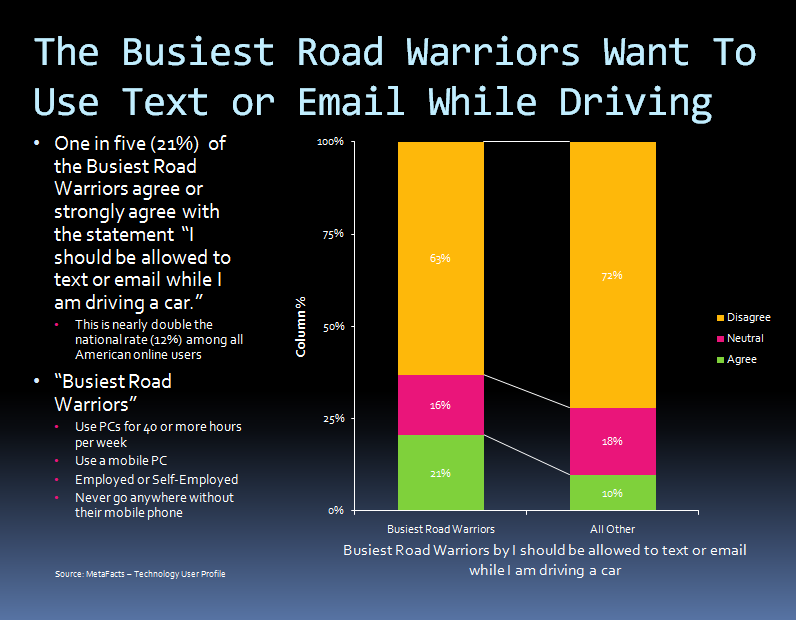 Are these renegades simply using mobiles for texting or emailing more than average? MetaFacts survey shows the links between age and texting in general, where 18 to 24-year olds top the charts as well. That age group’s attitude about texting while driving reflects this inclination. Mobile emailers, on the other hand, are led in a close race by the 25 to 34-year-old demographic (42% of 25-34-year-olds use their mobile devices for email vs. 37% of 18-24-year-olds and 32% of 35-44-year-olds). While age seems one of the main things renegades have in common, gender does not appear to be a significant factor in who texts and drives; only slightly fewer women than men surveyed wanted to use their keypad en route (7% and 11%, respectively). But be they men or women, what might tie these people together is a hunger for better, more streamlined technology. Judging from the types of phones renegades use, it seems their thirst for new technology may be comparable to their need for untimely texting and emailing. 21% of Android users are renegades, followed close behind by 20% of Apple iPhone users and 16% of Blackberry users. This tech-heavy crowd might just be waiting for the right technology to help them send an email in the car, without having to type it out the old-fashioned way. Clearly, this scary finding implies a need for a shift in the world of smartphones, and mobile companies should take note. While safety-inducing apps exist to render texting and emailing applications defunct while operating a vehicle, they tend to be geared toward the protective parenting set, which make them seem unlikely that they would appeal to the renegade mindset. In that case, better voice-recognition technology ought to be on the forefront of this issue. Some of this technology is already in place, and the renegade wordsmiths on the roads today seem likely to keep up their bad behavior, favoring accessibility and convenience over safety. This seems as much an issue for marketing as R&D. The demand for voice-activated texting and email for this niche of rebels, with their busy lifestyles and need for constant quick communication, may lie more in the convenience and speed of the new technology rather than its image as a safety feature. MetaFacts expects the first early adopters for this technology to include several unique and dissimilar segments: ultra-mobile road warriors, tech-savvy soccer moms, hyperactive smartphone users, Twitter addicts, certain ethnic groups, particularly in states enforcing distracted-driver laws. With that as the case, these texting renegades may be leading voice-activated texting and email out of the periphery so that it can, so to speak, take the wheel. 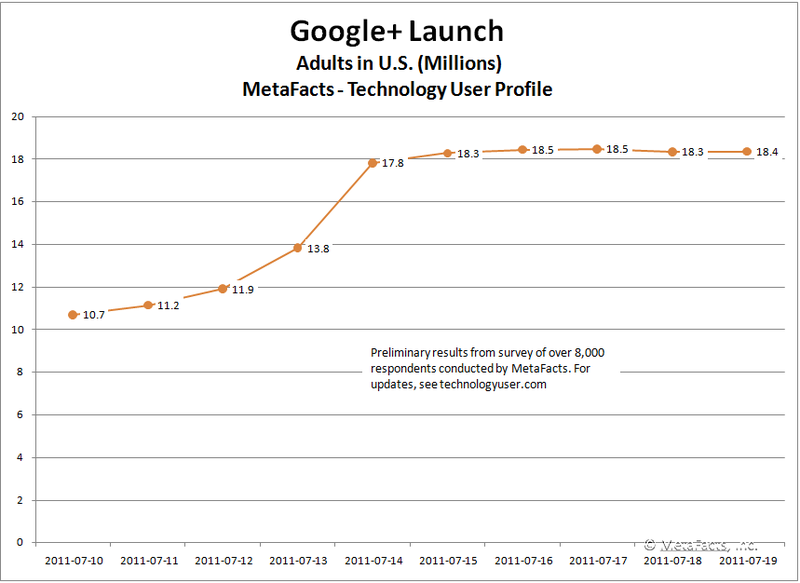 The results in this TUPdate are drawn from the MetaFacts Technology User Profile Survey. Results specific to this topic can be obtained through a customized report and analysis. Or contact MetaFacts for the MetaFacts Technology User Profile Overview Edition report, which covers the broader range of key trends. View findings in 25 pages of executive summary analysis, 200+ pages of charts and graphs, all supported by 95+ pages of detailed tables. The complete, 300+ page report is delivered to you electronically. This edition is for the U.S. based on the 2010 wave of Technology User Profile gathered among a scrupulously selected set of representative respondents, surveyed both online and offline. Is privacy a big concern among younger non-social networkers? Privacy concerns are a strong deterrent to future Facebook growth, even among the age 18-34 segment. The younger adult segment has a high penetration rate, with 63% regularly using a social networking site. While the maximum likely penetration rate is the subject of other MetaFacts saturation rate research, continued penetration only becomes more and more difficult from such a high base. Of the 23.5 million Americans age 18-34 not networked, 29% agree or strongly agree with the statement: “I do not use a community/social networking group because I am concerned about my privacy”. Agreement is even stronger among older adults. Recent news about the compromised security of private information is likely to further increase pervasive privacy concerns. When even highly-guarded information of governments and corporations is released publicly through organizations such as WikiLeaks, consumer trust can be further shaken in the effectiveness of the privacy controls of social networks. At the same time, the FTC’s Do-Not-Track proposal offers a governmental approach to supporting and rebuilding consumer trust online. Although considered heavy-handed by many advertisers, it reflects a percolating problem already evident by the use of adblockers, spam controls, and very low click rates. With nearly 30 years of watching and surveying technology consumers, answers to an attitudinal agreement scale questions don’t tell the whole story. Many American consumers are fickle and have short memories. Still, the answers are very high among an otherwise technically-active and accepting segment. Fear of the unknown can outweigh the desire for connection, entertainment and other benefits enjoyed by current social networkers. MetaFacts Technology User Profile Overview Edition – report available by contacting MetaFacts. View findings in 25 pages of executive summary analysis, 200+ pages of charts and graphs, all supported by 95+ pages of detailed tables. The complete, 300+ page report is delivered to you electronically or as hard copy. This edition is for the U.S. based on the 2010 wave of Technology User Profile gathered among a scrupulously selected set of representative respondents, surveyed both online and offline. To see other research coverage of communication products and activities – from smartphones to feature phones, desktops to notebooks, social networking, chat, and webcams – see the other communication-oriented questions TUP covers on www.technologyuser.com. MetaFacts releases ongoing research on the market shifts and profiles for Smartphones, Netbooks, Windows Vista, Mobile PCs, Workplace PCs, Home PCs, Moms and Dads, Web Creators, Broadband, and many other technology industry trends and facts. These TUPdates are short analytical articles in a series of specific topics utilizing the Technology User Profile Annual Edition study, which reveals the changing patterns of technology adoption around the world. Interested technology professionals can sign up at http://technologyuser.com/contact/ for complimentary TUPdates – periodic snapshots of technology markets. MetaFacts, Inc. is a market research firm focusing exclusively on the technology industries. MetaFacts’ Technology User Profile survey is the longest-running, large-scale comprehensive study of its kind, conducted continuously since 1983, the year before Apple released the Apple Macintosh. The detailed results are a primary market sizing and segmentation resource for leading companies providing consumer-oriented technology products and services, such as PCs, printers, software applications, peripherals, consumer electronics, mobile computing, and related services and products. For more information about the syndicated research service, analysis tools, publications and datasets, contact MetaFacts or call 1-760-635-4300.